2019 will see more Baby-G limited editions and collaborations than usual as the year marks the 25th anniversary of G-Shock’s sister brand. The latest brand to join the fray is California-based Roxy, maker of sport and lifestyle apparel for women and sister brand of Quiksilver. 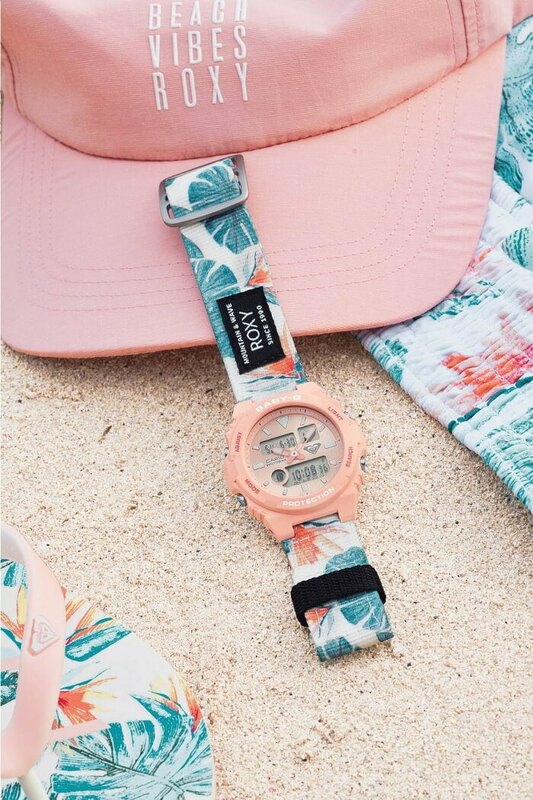 The Roxy x Baby-G BAX-100RX is based on the newly released G-LIDE BAX-100 featuring a tide and moon graph. 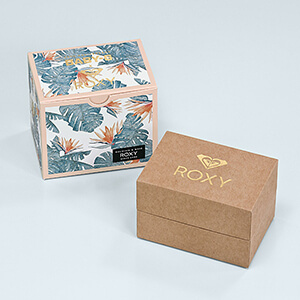 The custom pink watch has a Roxy logo on the dial and includes two interchangeable bands with an easy slide-lever release, one a nylon band with a floral print and the other a pink resin band. The watch also has a co-branded 25th Anniversary case back and comes in exclusive packaging. 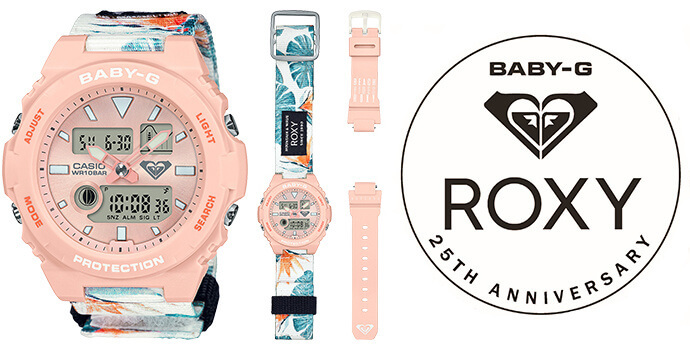 The Roxy x Baby-G BAX-100RX will be released on 7 June 2019 in Japan with a list price 18,000 JPY. About Us: G-Central is an independent fan site covering the latest G-Shock watch releases and news. Coverage includes worldwide releases, regional releases, limited editions, collaborations, events, and more. G-Central also covers Baby-G and Pro Trek watches. G-Central is not an official representative of G-Shock or Casio. G-Shock, Baby-G, and Pro Trek are registered trademarks of Casio Computer Co., Ltd. Affiliate Disclosure: As an Amazon Associate, G-Central earns a commission from qualifying purchases. G-Central is also a participant in the eBay Partner Network and Rakuten LinkShare affiliate program (with Macys.com). G-Central G-Shock Watch Fan Blog Copyright © 2019.